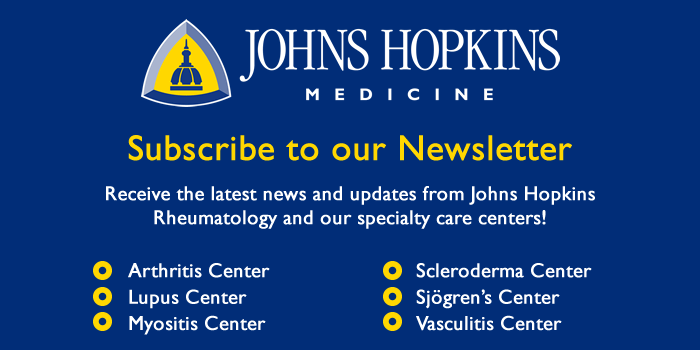 Welcome to the Johns Hopkins Vasculitis Center Website. This Website, maintained by the Physicians, Research Coordinators, and Patient Care Coordinators at our Center, is designed to provide information for patients with vasculitis in language that non-medical people can understand. We recognize that many patients with vasculitis have never heard of their disease before they became sick and that, owing to the relative rarity of some types of vasculitis, most physicians have little experience treating the disorders. Few support groups for vasculitis patients exist, and there is a shortage of literature about these diseases written for lay people. Consequently, most patients find reliable information about vasculitis difficult to come by. 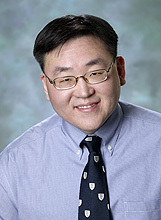 ways in which you can contribute to advancing research and progress in vasculitis. Please note that this Website is sponsored through the generosity of various friends of the Johns Hopkins Vasculitis Center. We update the Vasculitis Center Website regularly and strive to provide solid, usable information on various types of vasculitis, treatments, and support resources. Thank you for visiting our Website. We hope you will find it accessible and useful as you learn about these challenging diseases.